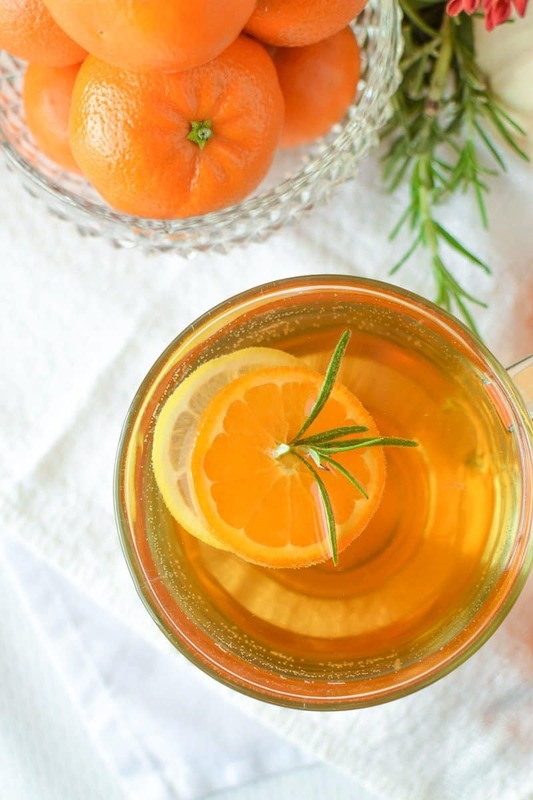 Boost your immune system with all-natural ingredients like mandarin oranges, rosemary, and honey with this soothing, comforting drink – alcohol optional. 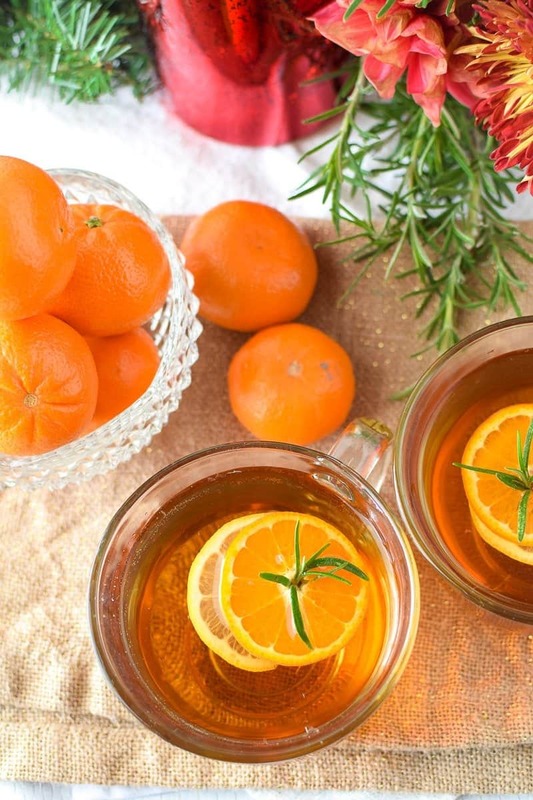 This warm, soothing, comfort-in-a-cup Mandarin Orange & Rosemary Hot Toddy has been proudly sponsored by Sunrays Citrus. As always, all thoughts and opinions are my own. 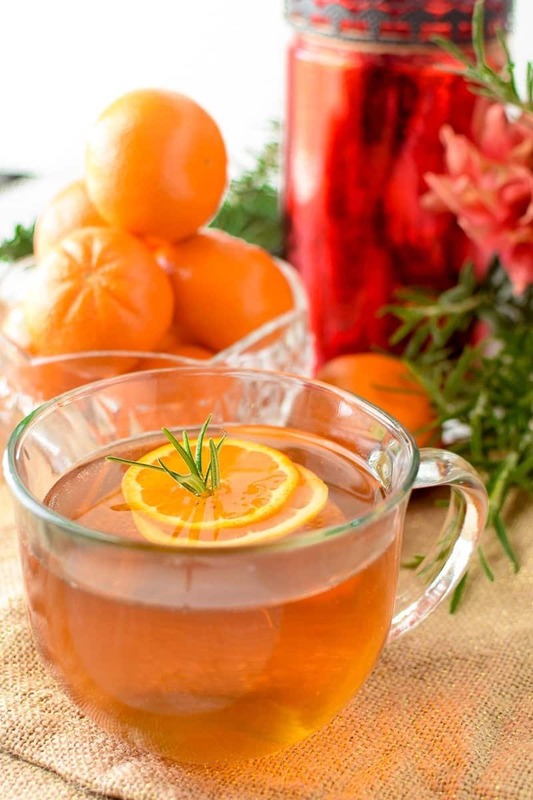 If you like video, and more delicious recipes, check out this Mandarin Orange & Rosemary Hot Toddy featured on my latest segment for Good Day Rochester as we talk about natural drink remedies to help treat a cold this winer. Related: Grab the recipe for my Honey, Ginger & Warm Lemon Water featured in the video above here. Have you ever had a Hot Toddy before? A Hot Toddy, also known as a Hot Whiskey in Scotland, is a drink made of water, honey, herbs and spices, and liquor – served hot traditionally before bed or during cold weather conditions. Not only does it taste amazing, but old wives tales place this delicious drink in the medicinal category to aid with common ailments such as the cold or the flu. In How to Drink, Victoria Moore describes the drink as “the vitamin C for health, the honey to soothe, the alcohol to numb“. A Hot Toddy is a delicious drink that can help to boost the immune system, keep you hydrated, and hopefully ease any pain or discomfort you may be feeling. And during this special holiday time of year, you can do more than just help your health. When you make your Hot Toddy with Sunrays Citrus, the only giveback mandarin brand out there, it is even more special during the holiday season as we think more about those who are less fortunate than us. Unlike refined sugars like granulated white sugar or high-fructose corn syrup, which can cause a host of problems in the body if consumed too frequently, honey is considered to be an all-natural sweetener. When purchasing honey for medicinal purposes like in this recipe, sourcing raw, local honey may be best for your body and immune system. Consuming raw honey is likely to make you feel better given its natural anti-fungal and antibacterial properties. Raw honey is also a source of antioxidants, important components that help to block free radicals in the body and to protect our cells. These antioxidants help to prevent a host of diseases, making them a natural immune system booster and defender. *Note, do not consume raw honey if you have a compromised immune system, and do not serve raw honey to infants. Rosemary is a popular herb in traditional cooking, but has many medicinal benefits as well which make it the perfect addition to this healing drink. Since ancient times, rosemary has been used anecdotally to relieve pain, improve memory, boost the immune system and to even promote hair growth. During the holiday and winter months where the cold and flu are common, rosemary is an excellent herb to use because it helps to soothe a cough which can often be bothersome at best, painful at worst. 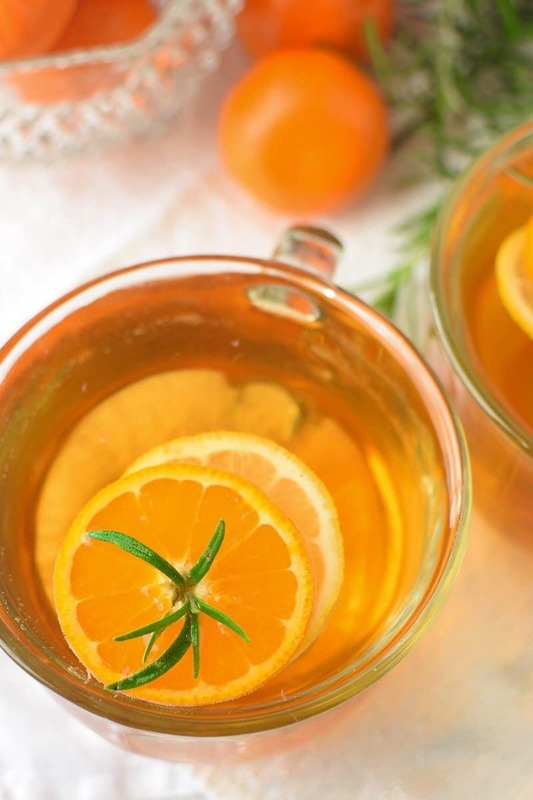 Sunrays mandarin oranges are an excellent addition to this Hot Toddy because they lend their sweet, delicate flavor along with their impressive health benefits and nutrient profile. 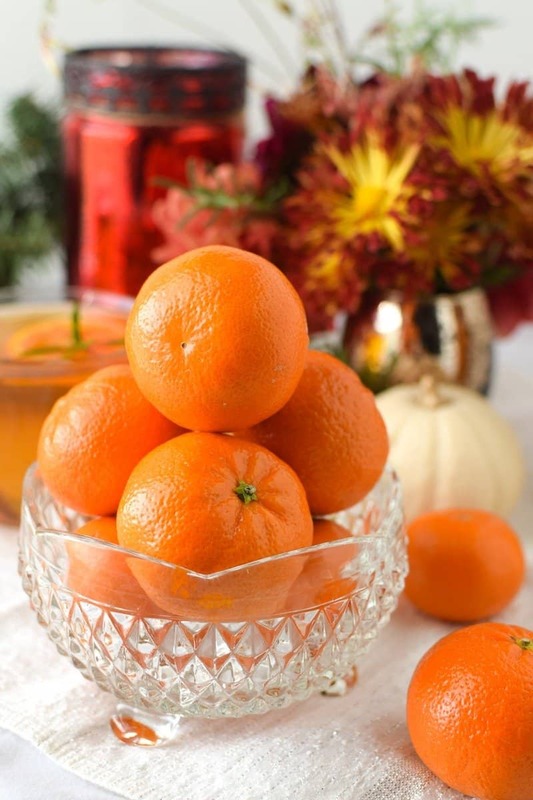 Mandarin oranges are most noticed for their exceptionally high vitamin C content which has been proven to help aid the immune system in fighting infection. Just one mandarin can provide with you with up to 80% of your daily vitamin C intake. When you enjoy a Sunray, you’re not only championing for a healthier you but for a world of children in need. Sunrays are sweet, easy-to-peel mandarins grown and packed by dedicated professionals who are devoted to protecting the environment and making the world a better place – all while delivering the tastiest mandarins around. As a mom and a consumer I understand that where I spend my money matters, and when it comes to Sunrays, I know that I am going to consistently get a delicious, quality product that also gives back to the community because Sunrays is more than just a brand, it is a movement. This time of year, the holiday season, is known for the kind, generous spirits of others who spend their time and money to make the lives of others better. This year, remember that where you spend your money matters, and that when you purchase Sunrays, you are doing more than just buying a nutritious fruit for your family. Each Sunray is grown and packed with love and care; all Sunrays farms are certified under the strictest global standards for good agricultural practices. These standards ensure that every farm growing Sunrays focuses on sustainability, is committed to the health, safety, and welfare of its workers, and is treating the environment with respect. Sunrays is also proudly Non-GMO Project Verified. Without Mother Earth, there would be no Sunrays, which is why they have designed all of their packaging materials with Mother Earth’s well-being in mind. All packaging used for Sunrays is 100% recyclable and only the necessary materials are used, to minimize waste. If that wasn’t enough, Sunrays is the only fresh fruit company that invests so heavily in giving back to others. In the U.S. communities that Save the Children serves, an average of 59 percent of the population does not have access to fresh, healthy foods. Sunrays partners with Save the Children to donate time, goods and product, most recently to support the Save the Children SummerBoost Camp. Eating well and being physically active at an early age helps children focus, improves school attendance, boosts academic performance, and ultimately helps them grow to be healthy adults. Save the Children provides robust health and nutrition programs around the world to save children’s lives and ensure they grow up healthy. 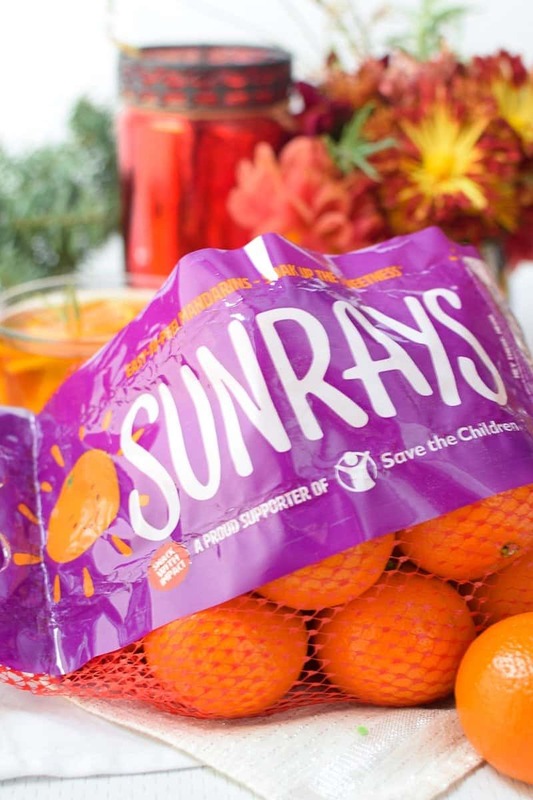 When you’re shopping and see a bag of Sunrays mandarins, remember that your purchase matters and your purchase directly impacts the great work Sunrays is able to do with Save the Children. 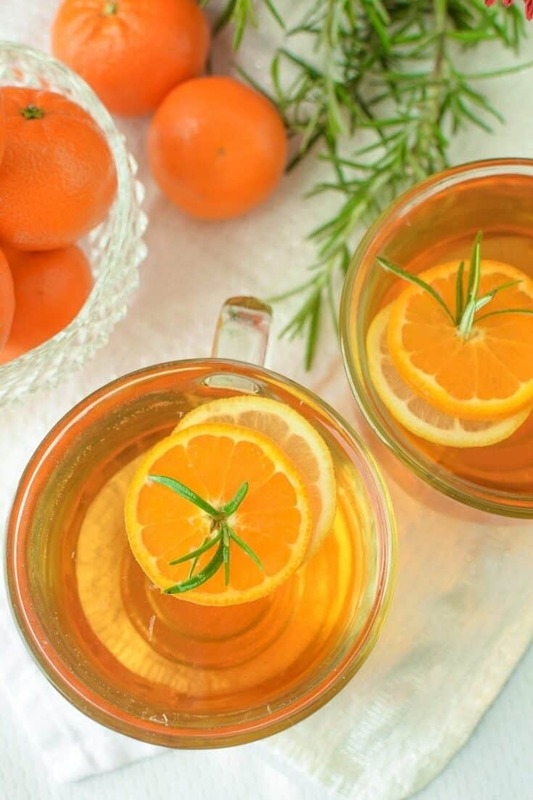 Boost your immune system with all-natural ingredients like Sunrays mandarin oranges, rosemary and honey with this soothing, comforting drink. Alcohol optional. 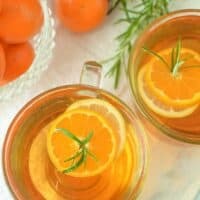 In your favorite mug, add a few slices of lemon, a few slices of Sunrays mandarin oranges, a few pieces of fresh rosemary. Allow the ingredients to steep for 5 minutes. Remove the citrus slices and rosemary if desired. Stir in the honey and whiskey or brandy, if using, and enjoy. 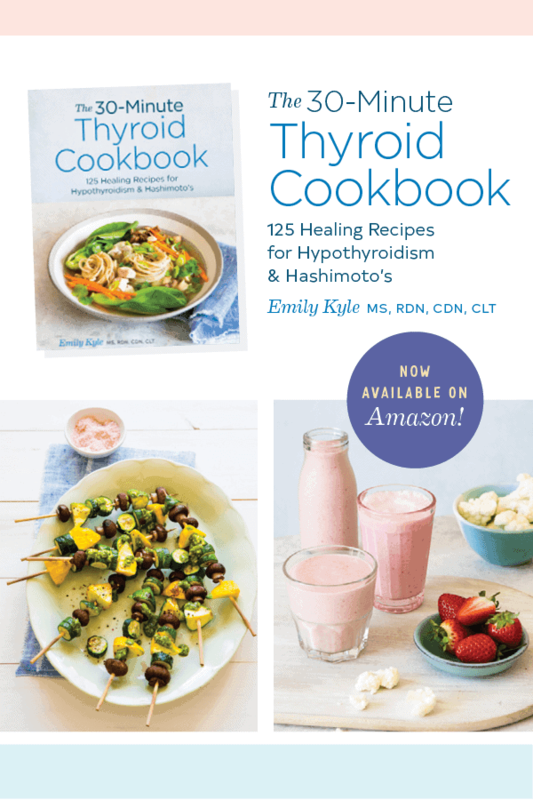 Important Note About Honey In This Recipe: Adding raw honey to boiling water will denature some of the most important health promoting properties. When preparing this recipe, wait until the water is cool enough to sip comfortably before stirring in your honey to assure you are reaping all of the available health benefits. I hope you love it, I always use fresh rosemary when I have a cough that won’t go away! Hot toddies are my favorite on these cold winter nights but I never have added rosemary- I cannot wait to try this twist! So, so perfect!! I love fruit drinks too, but don’t enjoy them warm nearly enough. That is the sweetest Tawnie!! I am so glad you liked it alcohol-free!! I did the alcohol-free version and it was so cozy and had amazing flavor! My hubby swears this drink cures his colds—maybe not an old wives tale??? This twist on a hot toddy looks amazing. Def making this one cold winter night! This was my grandmother’s favorite drink…and now I see why! She would have loved your recipe! I love fruit drinks and to have a nice warming citrus drink in the winter is perfect to lift the winter blues!